AdSense Account Disabled – What are the alternatives? Having your AdSense account disabled can be extremely disappointing and frustrating. If this has happened to you, we hope the following information helps you decide which route you should take next and giving you options you need to recoup some revenue with EasyPlatform. If you do find your AdSense account banned, and your appeal denied, all is not lost, it's just time to move forward! While AdSense is known to have the best RPM (revenue per 1000 impressions) when compared to their direct competitors, you may be able to recover some of your lost income through our alternative network solution. 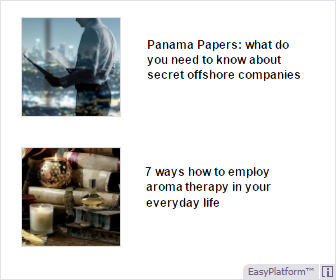 EasyPlatform can be a great alternative to Adsense that lets you monetize your site. Our platform is very simple to integrate into your site, and is open to any publisher, with no setup fees and no hidden commitments. Plus, we take 2-3 days on average to get your account approved. We manage an unique 3rd party income aggregator for our publishers. It is based on the ultra fast passback waterfall functionality and it is designed to switch between different advertising networks. Our technology draws conclusions based on historic observations and real-time data of each network and brings the best advertising demand for your website. 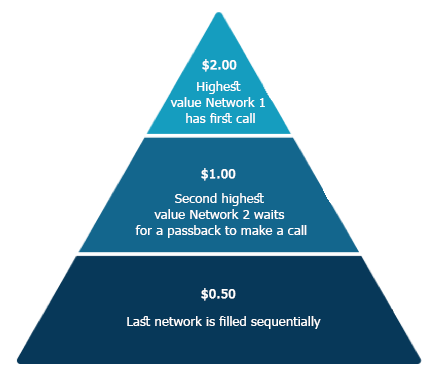 Your revenue will depend on the CPM/RPM rates we receive from our network partners. After many years of experience, we know almost everything about programmatic revenues. 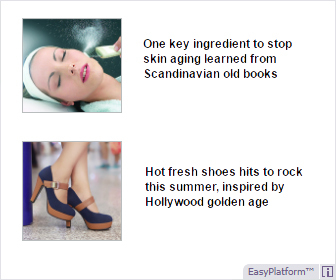 In fact there are not many platforms which are worth working with excluding Google Adsense. We pick no more than three, organize them into a passback waterfall (ad chain) and setup it individually for you. As a result, we deliver you the highest possible ad revenue. It’s extremely important for us as an intermediate to protect advertisers and they’ve made that a priority within our platform. If the advertisers aren’t comfortable they’ll be receiving legitimate and useful traffic, all of the advertisers would dry up and us publishers would be left with a system that doesn’t pay nearly as well. We cannot monetize traffic that may be incentivized or directed to sites through traffic shares or any other shady sources. Often this traffic will have no interest in the particular subject, but does results in clicks that cost the advertiser money. This type of traffic is harmful to advertisers since they’re paying for traffic that will, ultimately, not convert for them. Naturally, your next question would be, what is the minimum traffic threshold for getting approved in EasyPlatform? At this time we are only working with larger publishers having more than 20'000 unique visitors per day. We are extremely good at determining whether clicks are legitimate or not. Some publishers have thought that by contacting friends and family, having them search for their site, find, and then click on the ads keeps them in the clear but this is a huge risk and not at all worth the minimal rewards you might receive. Others have attempted to cloak their traffic or use automated software that will click on the sites for them which, of course, is unacceptable. Advertising should respect user preferences and comply with legal regulations, so we don’t allow certain kinds of content in our publishers. If you are running Adsense on a site that distribute copyright content like movies, songs or any other files, you are most likely to get an instant ban. We allow putting ads on sites that distribute copyright materials (torrent trackers, music download, file sharing or movie streaming) but with some restrictions. We accept some kinds of adult-oriented nonhardcore content, if it complies with our policies and does not target minors. We work only with websites which have at least 10 000 visits daily. If you comply with this requirement, please enter the average daily visits when you apply your website in the registration form. Life can be rude sometimes. You Google Adsense account could have been banned because you didn’t catch a rule from their Terms of service, or maybe it was a mistake. However, you can’t always rely only on one solution. The secret word here is to “diversify”. Try to have as many income streams as you can by adding and testing different ad services, and you’ll find your way to the top. Plus, this will help you develop as an internet marketeer even more. You can find answers to additional questions by visiting our FAQ section. Disclaimer: We are not speaking for Google or anyone working in the AdSense department. Any advice given regarding AdSense or legal issues should not be construed as legal advice.